This months fundraiser is for local food pantries. Often times per owners don’t have the funds to feed themselves let alone their pets. We will be donating to various organizations based on their needs. 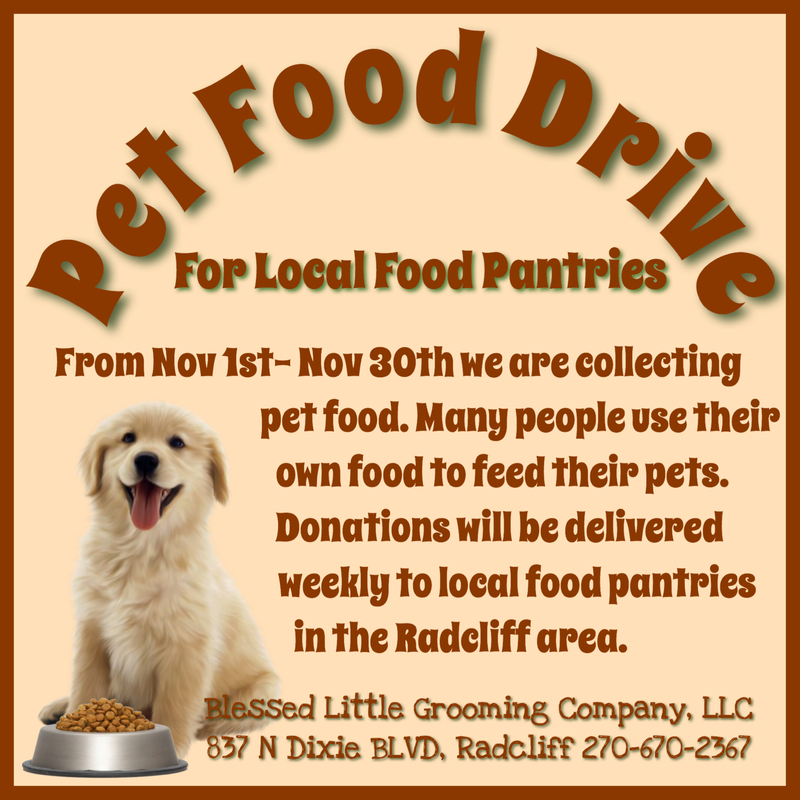 Drop of any pet food for house pets at the salon. Donatikn locations will be announced upon delivery.